Drafting house plans has developed tremendously since the days of compasses and T-squares. Everything seems to revolve around computers this day in age and architectural design is no different. The introduction of computer driven technology into the equation has changed everything for architectural drafting. The software used in order to draft house plans creates a more precise measurement and optimizes your precious time. 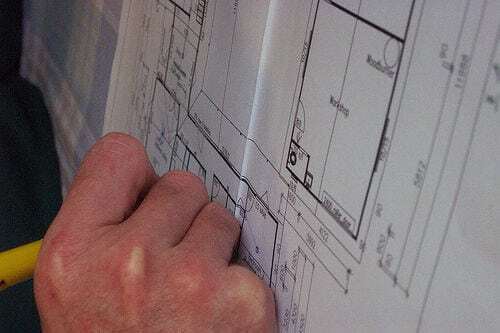 Some drafters may still use pencil and paper to draw up house plans but the best ones also utilize the drafting computer software available. Utilizing this software eliminates having to erase or begin a sketch again. Changing the dimensions or angles just takes a simple click of the mouse. Early drafters put forth endless amounts of time and effort to simply see one of their projects from a different angle. Now its all in the click. Using the aide of computer software isn’t just a fabulous time optimizer, it’s a space saver! Who wants loads of paper strewn all over their house? Using CAD allows you to store all your projects in their intended files giving you easy access. Having an organized and pro-active work space increases productivity and is a characteristic all consumers are seeking out. 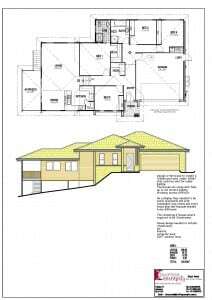 Using computer software to complete outstanding house plans is the standard of practice within this industry. The professional you choose to hire should have a full knowledge of CAD and how to use it to your advantage. This brings up the construction process as a whole. A decent drafter will have a thorough knowledge of the construction process. The ability to visualize how the end product is going to look will set drafters apart. Many professional drafters hold a degree in the field. Others hold certifications and other legitimate forms of qualification. A background in construction allows the designer to visualize the end product and know what materials the construction crew will be working with. So, when choosing the right designer for your project, try to get a feel for their background as an architectural drafter. There are a number of things that could go wrong when building a new home. You don’t want a missing permit or a violation of any regulation to hinder the creative process. Just as a designer should know how to draw house plans, they should also have a complete understanding of the regulatory practices in their specific region. The Building Commissioning Association (BCA) and local government have a comprehensive standard and regulations guideline that must be followed. The BCA also offers a certification program that will help ensure your designer has a thorough knowledge of exactly what he/she must do. This certification is not required to work as an architectural designer but greatly increases their reliability and integrity. Ultimately, a drafter should be able to create an outline of your vision into a tangible house plan. It is also very important that the drafter you choose conveys your vision, through their house plans, to the construction manager. They could be a genius designer, but if a construction team can not understand where he/she is going with the blueprints, there is no point in continuing with the project. 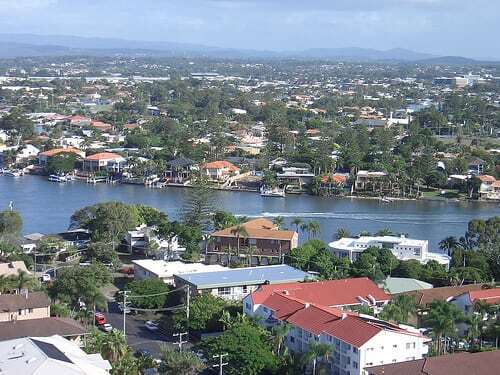 The Sunshine Coast region offers diverse properties ideal for creating your dream home. 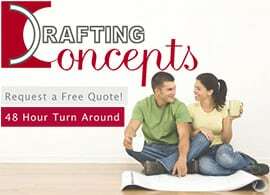 Creating the perfect space requires finding the perfect property. Depending on the purpose of the home, you may want to consider different areas the Sunshine Coast has to offer. Whether it’s a beach get away or a cozy house inland, here are some architectural design ideas you may want to consider when planning your private oasis on the Sunshine Coast.